View of Toronto Sign on Nathan Phillips Square at night, in Toronto, Canada. Illuminated City Hall and the Freedom Arches in the background. Canada’s biggest city is the fourth largest in North America and also known as the world’s most diverse. It’s also the perfect place for young learners to study English this summer. Toronto is calling and offers a chance to have the best day ever with ILSC Junior Camps. It’s impossible to fit all of the great things about Toronto into one article, but here are 3 (of many!) great reasons to study English in world-famous city of Toronto, Ontario this summer. Young learners who come to Toronto will quickly experience why Toronto is Canada’s cultural, entertainment, and financial capital. The city is a mixture of Hollywood glamour combined with New York City ambition and the added touch of the welcoming and friendly Canadian attitude – that’s what we call the perfect equation. A warm welcome and new friends are two things young learners are sure to find while studying and exploring Toronto this summer. The ILSC-Junior Camp programs offer young learners a half day of classes and a half day of activities Monday through Friday, plus a full day excursion on Saturday. Students will get the chance to put their new English skills to work at iconic Toronto destinations like the Hockey Hall of Fame, the Royal Ontario Museum, and Lake Ontario’s Toronto Island. Toronto is Canada’s largest city, with a population of almost 6 million residents. Although Toronto is massive in size, it’s easy to love because of its distinct neighbourhoods, 140 of them to be exact. This means no matter your style, hobby or interests – you’ll find the right area for you. ILSC-Toronto is located in the centre of Old Toronto and close to the University of Toronto, bustling Chinatown, and the downtown Entertainment District. It’s the perfect place to start exploring everything the city has to offer and to practice English in the real world. Toronto is considered the world’s most diverse city with 51% of its residents born outside of Canada. In fact, 232 nationalities are represented in the city. Visiting Toronto is more than meeting Canada—it’s a chance to meet the whole world in the same place. Choosing Toronto to learn English means experiencing this diversity every single day this summer. 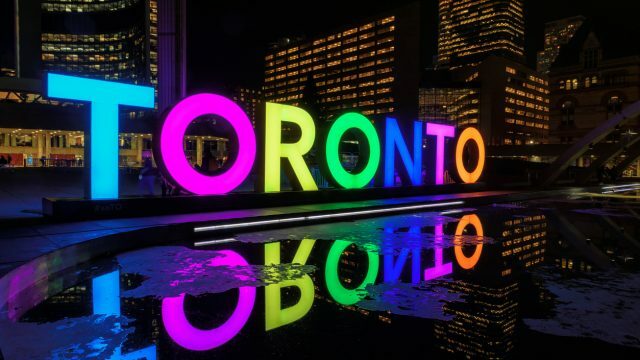 During English classes young learners will study with students from all over the world before experiencing the tastes, sounds, and colours of Toronto during fun and exciting activities. If it seems the sights, sounds, and diversity of Toronto is calling to you, ILSC Junior camps just might be the answer! Learn more all about how you can experience Toronto, learn, play, and explore with students from around the world by visiting Junior Programs.